B3 What Are You Doing' In My Life? Plus it helps that this was recorded at Sound City so they had a great set of master tapes to work with. Wow! MEIIODrOnE said it all. Except I'd go as far as giving this a 10/10. It's perfectly quiet. Probably the best rock 'n roll records I've heard in a while. All the detail is there. The bass and the drums do sound fantastic. QRP does a great job pressing records. They are the best pressing plant in the country. Quality wise they are a little better than RTI now. Anyway, don't hesitate buying this reissue. It's fantastic and it's a great price. Damn! This reissue sounds great! Great low end on this with deep bass and punchy drums. Very full sounding dynamic record, nothing gets muddy, clarity is amazing. Gotta mention those drums again, the drums sound awesome and have major impact. I have the first s/t album which also sounds rad and Full Moon Fever which sounds good but I think this Damn The Torpedos album sounds the best so far. Pressed at QRP and even tho it comes in a thick cardboard inner sleeve there were no scratches, scuffs or damage to the vinyl surface, thankfully. Plays great, very lively sounding with perfect balance. Bernie Grundman does great things with that low end drive that really powers the rest of the music. Superb sound. If I have to pick something to complain about, I wish the vocals were a little more present on some of the tracks. 9/10 easily though. 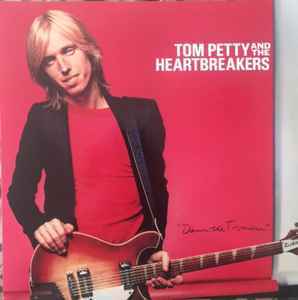 Uses the same plate/lacquer as ORG's 2010 release: https://www.discogs.com/Tom-Petty-And-The-Heartbreakers-Damn-The-Torpedoes/release/2576053 Only uses the A/B sides, obviously. Was this version pressed at Quality Record Pressings (QRP)?